Jayant Sinha said that UDAN scheme is slated to create additional 100 airports over next 2-3 years. 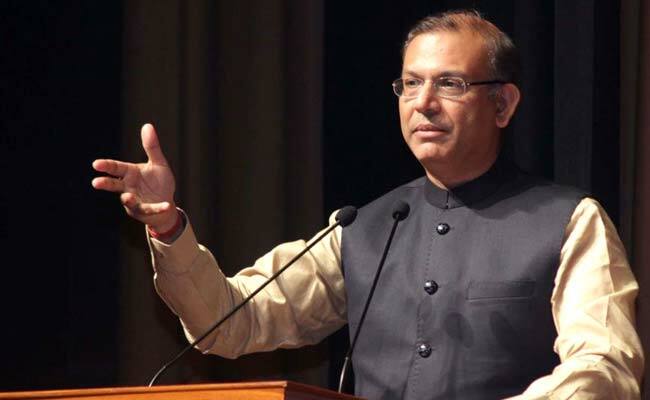 New Delhi: Union Minister Jayant Sinha on Friday said that central government's regional air connectivity scheme -- UDAN -- which was launched on April 27 is slated to create additional 100 airports over the next 2-3 years. The Minister for State for Civil Aviation was speaking at the Confederation of Indian Industry's (CII) annual session 2017 themed 'Future of Globalisation: Can India Lead?' in Delhi. On Thursday, Prime Minister Narendra Modi launched the highly-subsidised regional air connectivity scheme from Shimla. The Rs 2,500-an-hour flight launched on Thursday is part of 'Ude Desh ka Aam Nagrik' (UDAN) scheme that makes air travel more affordable to the common people. It also plans to enhance connectivity with more airports in the country. The first regional flight under the scheme was flagged off between Shimla and Delhi from Jubbarhatti, the tabletop airport located 2,196 metres above the sea level and 22 km from Himachal Pradesh capital Shimla. Air India's subsidiary Alliance Air, which will operate the Delhi-Shimla flight, has fixed the one-way fare at Rs 2,036. According to the minister, the UDAN scheme has market friendly features such as removal of airport and navigation charges, reduction in ATF (air turbine fuel) taxes and routes exclusivity for three years which would incentivise air passenger carriers. The minister said that he is working with aircraft lessors to reduce the risk premium. Mr Sinha pointed out that the country has "one of the most open" FDI (foreign direct investment) policy in the world.